Coworking is on the rise. with 17,000 coworking space available worldwide and an annual growth rate of 16.1%. These collaborative, shared economy spaces, are becoming the homes to remote workers, digital nomads, freelancers, and small businesses looking for a professional space to work from, without breaking the bank. But something you don’t often see in the headlines, is how often co-working spaces fail. Deskmag places the figure somewhere between 10-15% of all coworking spaces fail, and one of the biggest reasons is people don’t use the space. 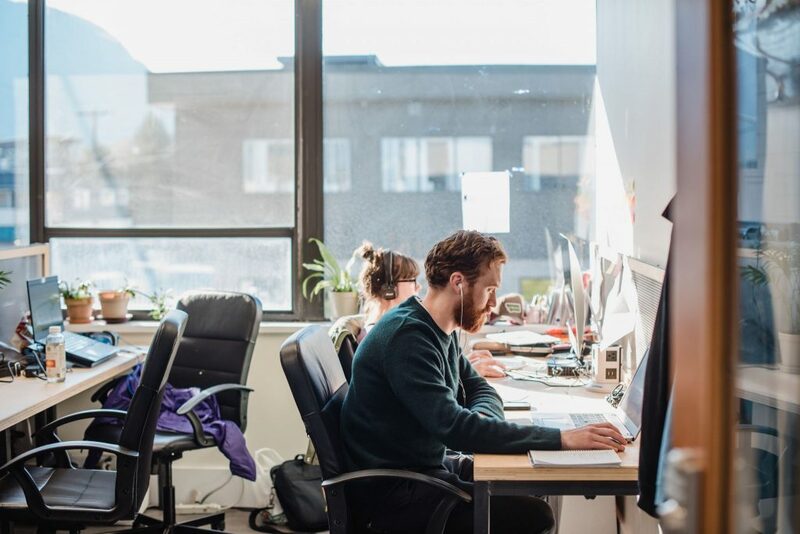 At Aligned Collective, Squamish’s largest co-working space—we don’t have that problem. With roughly 10-12 regular workers, and another 10-20 part timers, our office is almost always abuzz, filled with the energy of people working on their passions and projects. From construction project management, to film editing, to Shopify customer success reps, to commercial land developers — our space is teeming with a diversity and abundant group. Apart from the amazing collaboration this instills, it makes us hopeful and confident we won’t end up in the coworking grave yard. With gratitude to our members, this month we have been releasing a Member Spotlight series, learning about and sharing individual contributions our members have to the broader community. We are nothing but a dead coworking space without our wonderful people. A morose way of giving context to our deep appreciation and true gratitude for the little professional community we are creating down here in Downtown Squamish. Follow along as we introduce our members on Instagram. Or see “who works here” on our website. Learn more about our pricing, and event space rentals here.